Well it has been a cold, wet spring here in New Brunswick. Yesterday was very cold with wet snow in the afternoon! 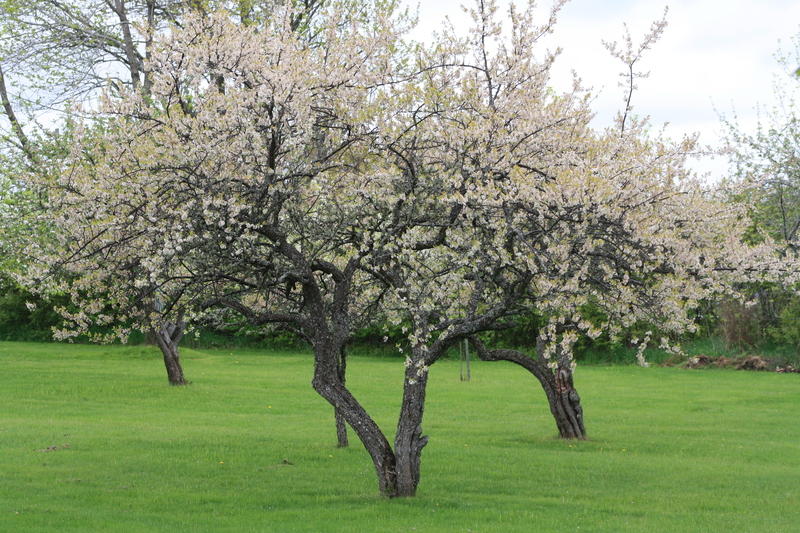 Despite all the bad weather, the orchard is sweet with the aroma of plum blossoms. Today hit 24C and at last the lower garden (old section) is dry enough to start some planting. Later than previous years, but beets, carrots, turnip and onions are all in the ground. We also added twelve new strawberry plants to the strawberry patch. The new section of the lower garden now has new raised rows, two planting mounds for our squash, pumpkin, and zucchini. The straw bale experiment is well under way and ready for planting this week if the weather forecast holds. The planting mounds are constructed as “compost heaps” right in the garden. 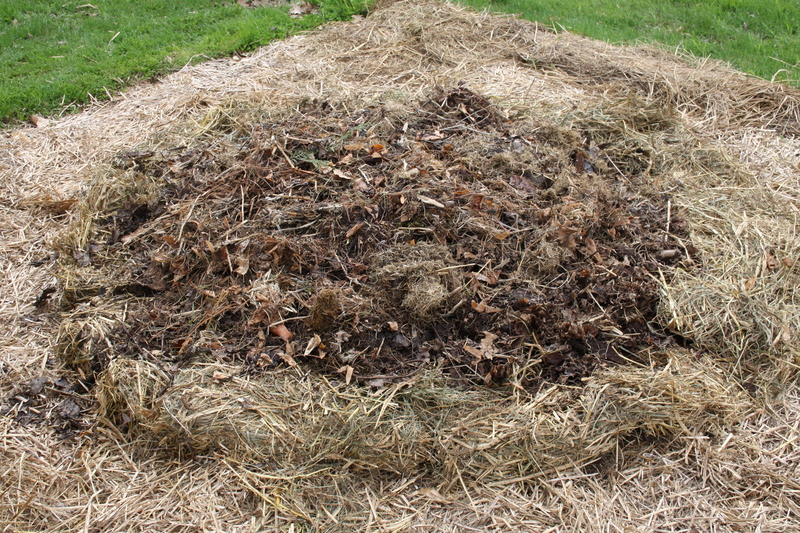 Brown material, (leaves, dry grass clippings, old straw) plus finished compost were piled up and will be covered with straw mulch before transplanting the winter squash, pumpkin, and zucchini. The “new section” of the lower garden is wet ground. Last year the area was completely covered with straw and black plastic. 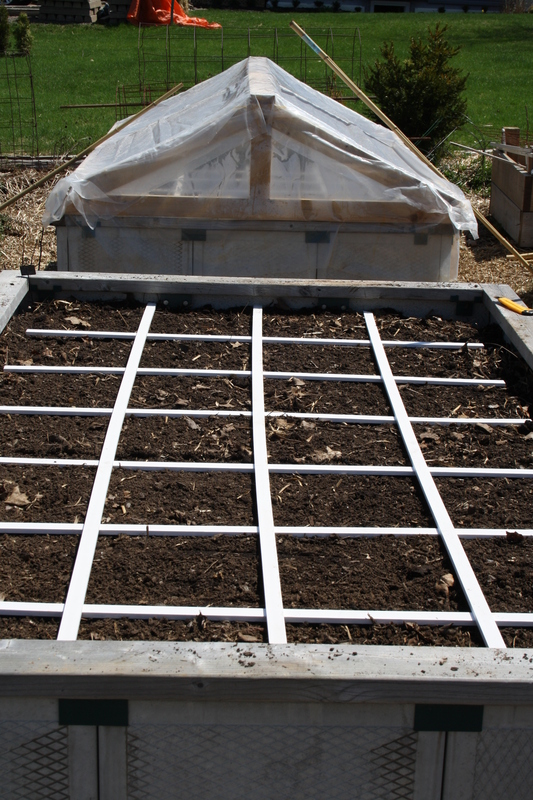 This spring the black plastic was removed and the raised rows were constructed with alternating layers of straw, compost, shredded leaves, garden soil and top dressed with more compost. 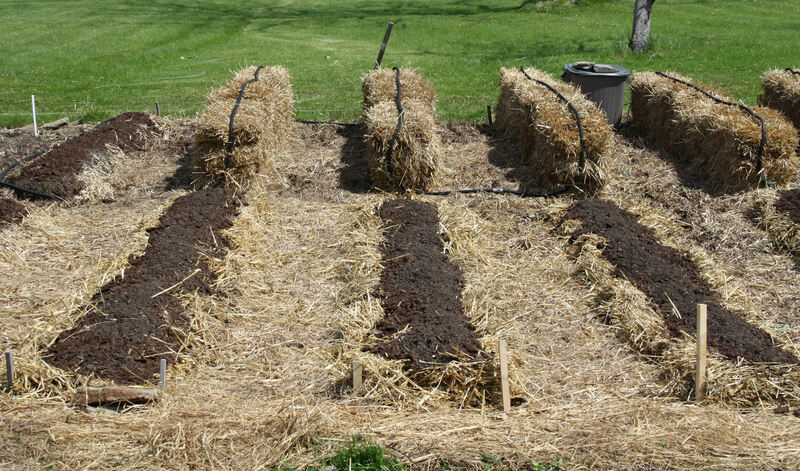 After planting the rows will be mulched with straw. The method was successful last year despite the wetter soil under the raised rows. The straw and leaves may have acted as a “wick” to draw the moisture as well as the plant roots seeking the moisture. Either way it was not necessary to water any of the rows last year. A major plus to a low maintenance garden! The straw bale experiment is set up in the new section as seen in the picture. The ten-day “conditioning” routine was completed using blood meal as the nitrogen source. The use of a weeping hose made the process less painful. In the future, we think we would prepare the bales in the fall for use the following spring. We will keep you updated through the summer on our SBG experiment. In the upper garden, a new asparagus bed, new cucumber trellis, and finally grids for Square Foot Gardening. We have been posting relevant gardening information on the Creative Garden Facebook Page. Mainly the re-posts are articles that we have found useful or interesting and want to share with you. If you are not following on Facebook, please check the page out and follow for more gardening information. Looking forward to planting this week. Time to get your hands dirty everyone. We are a grower and seller of non-gmo and heirloom seed varieties.